DETROIT — Chevrolet’s “Real People, Not Actors” TV ad involving vehicle reliability isn’t sitting well with some consumer advocates. While that statement isn’t false, some have found it misleading considering the fine print, the source of the data and the models displayed in the commercial. The referenced survey was conducted by Paris-based Ipsos over the last 12 months. It involved owners of 2015 model-year vehicles that were in service from December 2014 to June 2015. 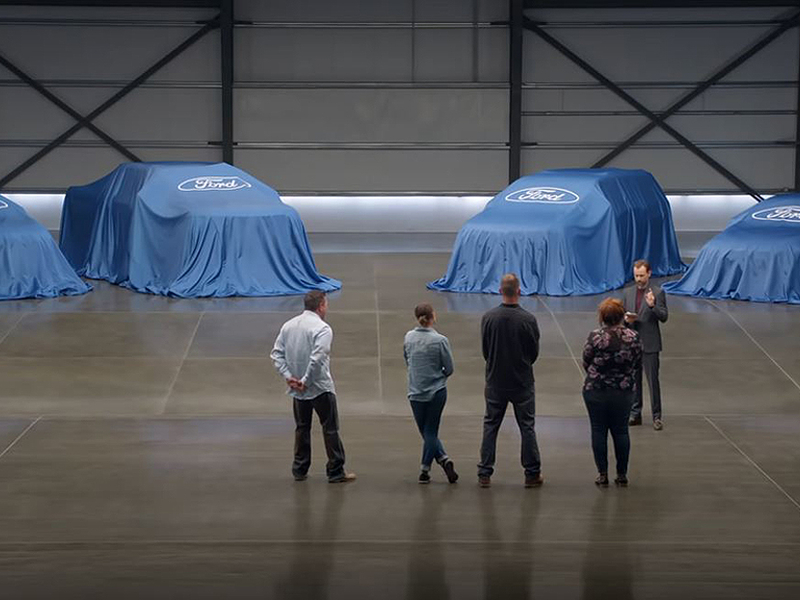 But the vehicles shown in the ad are the current versions of the Chevrolet Equinox, Silverado, Traverse and Malibu — all of which have been redesigned since 2015. The ad shows Ford, Honda and Toyota owners being quizzed about which brands have the best reliability. With each wrong guess, sheets bearing Ford, Honda and Toyota logos are pulled off the vehicles until the four Chevrolet models are exposed. The spot began airing before Chevrolet launched a TV campaign Monday for the redesigned 2019 Silverado, which officials have said is an “extension” of the 4-year-old “Real People, Not Actors” campaign. Consumer World, a Massachusetts consumer advocacy organization, is calling on the automaker to pull the ad because newer vehicles are being promoted in tandem with data about older models.